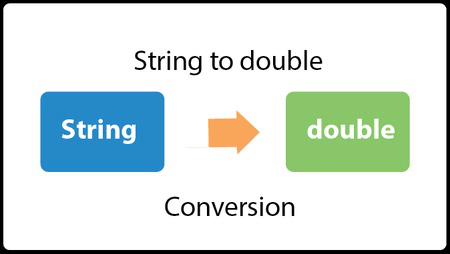 We can convert String to double in java using Double.parseDouble() method. It is generally used if we have to perform mathematical operations on the string that contains double number. Whenever we get data from textfield or textarea, entered data is received as a string. If entered data is double, we need to convert string to double. To do so, we use Double.parseDouble() method. Let's see the simple code to convert string to double in java. Let's see the simple example of converting String to double in java.